Need holiday gift ideas for the kids? 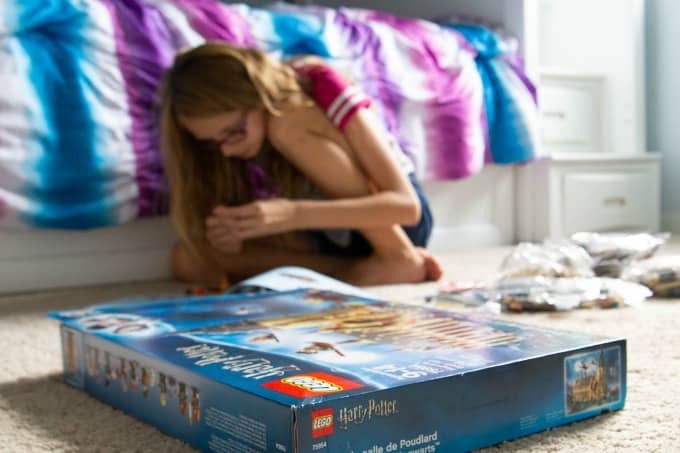 From Harry Potter LEGO sets to Hot Wheels and everything in between, Kohl’s has you covered! Coming up with holiday gift ideas for my girls is never a problem. Like most kids, their lists are long and getting even longer every day. The challenge isn’t finding toys they’ll like, it’s finding toys that they’ll want to keep playing with after the initial excitement wears off. Luckily, I’ve been at this long enough to know which toys will get plenty of love and keep the kids entertained long after the holidays are over. I love shopping for gifts at Kohl’s because they have so much to choose from. There’s something for every age group and they carry all the brands that I already know and love. You can never go wrong with Melissa & Doug, Fisher Price, Hot Wheels, Disney Princess and LEGO. It makes it easy when everything in one place too, especially since Kohl’s has competitive prices. The hard part is just finding time to shop without the kids tagging along. I guess that’s what online shopping is for, right? Luckily, I can do both with Kohl’s! 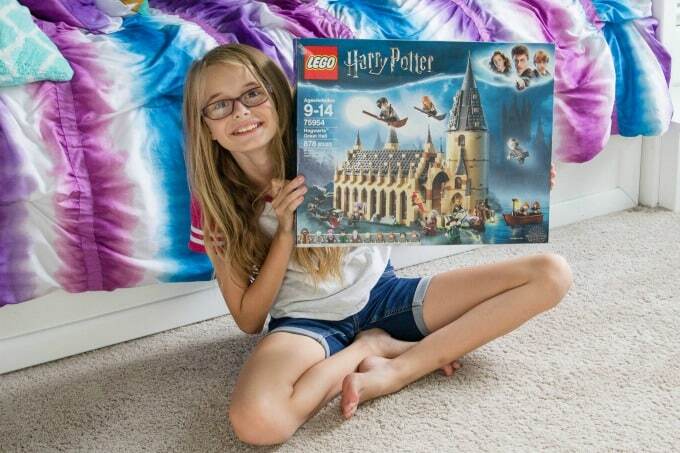 My oldest daughter can be hard to shop for but I knew I had a slam dunk when I saw the LEGO Harry Potter Hogwarts Great Hall Set. She’s a huge Harry Potter fan and I knew this would be right up her alley. With 878 pieces, it’ll keep her entertained for awhile. Ashling is very bright so I’m constantly on the hunt for toys and activities that will challenge her. Large LEGO sets like this one take a lot of focus and attention to detail. She really has to think about what she’s doing and be able to follow directions. By the second day, The Great Hall was slowly coming together. She even let me help and I’d forgotten how much fun LEGO sets could be! When she was finished, Ashling was very proud of her creation and planned to use it as bedroom decor. We’re big Disney fans and one of the best things about Disney are the Disney princesses. In fact, we love them so much that Keira’s room is decorated from top to bottom in princess decor. 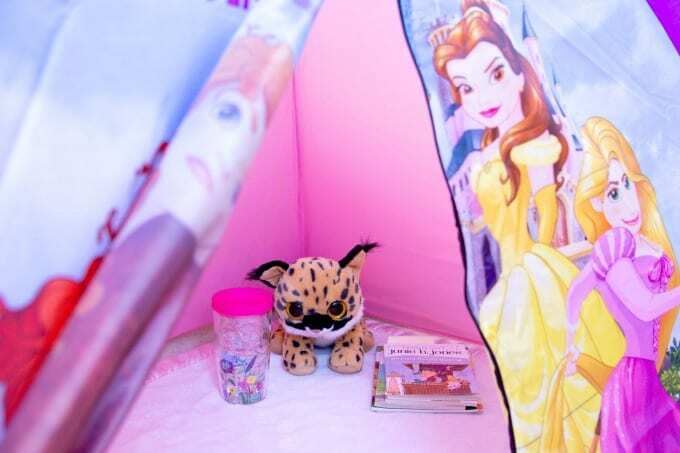 When I found a Disney princess tent online, I knew I had a slam dunk. 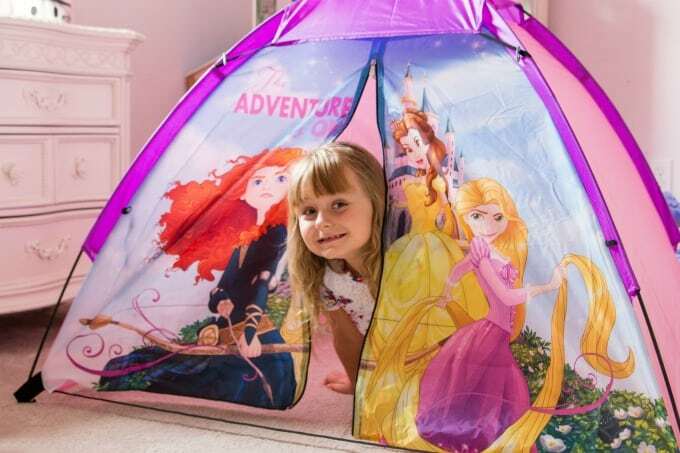 She’s been asking for a tent for the longest time (she thinks she’s somehow going to convince me to go camping) and when I saw this Disney Princess tent, I knew it would be perfect! She was so excited that she could barely contain herself! The tent was easy to put together and even though I did it for her, she could probably have done it herself. She had fun setting up a little reading area inside with her “blankie”, books and even a favorite toy. I guess even when you’re a kid, it’s fun to get away from it all sometimes, even if it’s just a tent in the corner of your bedroom. What mom doesn’t love Melissa and Doug toys. I know I do! These are high quality toys that can stand their own against any kid…even not-so-gentle toddlers! Keira’s been playing with Melissa and Doug toys for years and I’ve lost count of how many sets she has. Between the hours of entertainment they provide and the fact that they are build to last, Melissa & Doug toys are some of my favorites. 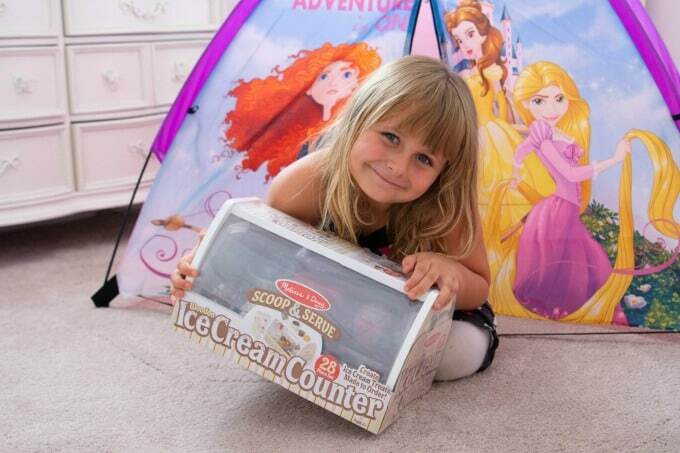 When I surprised her with the Melissa and Doug Scoop and Serve Ice Cream Counter, she immediately let me know that I was the “best mommy in the whole world”! I hope she remembers that when she’s a teenager. 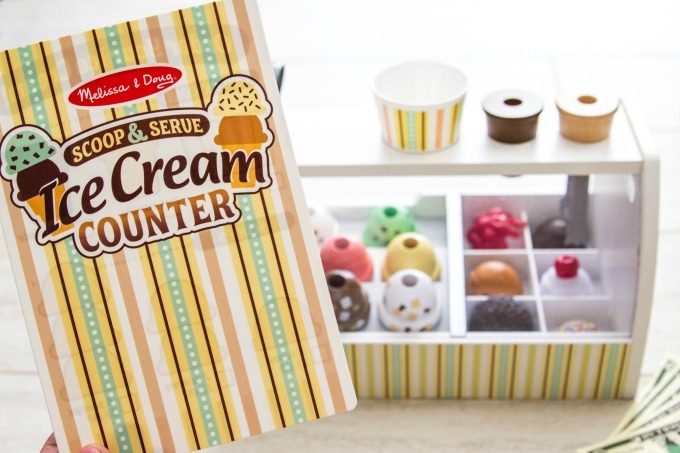 Not only does this set come with ice cream, cones and a scoop, there’s also play money and a menu so kids can run their very own shop. Keira had fun serving “ice cream” to her sister and when the little boys down the street came over, they placed some ice cream orders of their own. The pieces are cute and colorful and can be combined to make all kinds of different combinations. Keira hasn’t stopped playing with this set since she got it and if you come over, I’m sure she’ll make something special just for you! Did I mention that we really love Melissa & Doug? 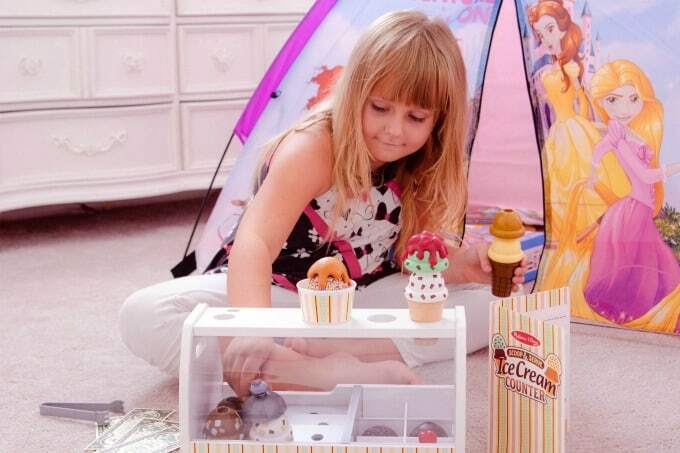 Because Keira loves animals as much as she loves ice cream, she couldn’t wait to play with this adorable Feeding & Grooming Pet Care Playset! 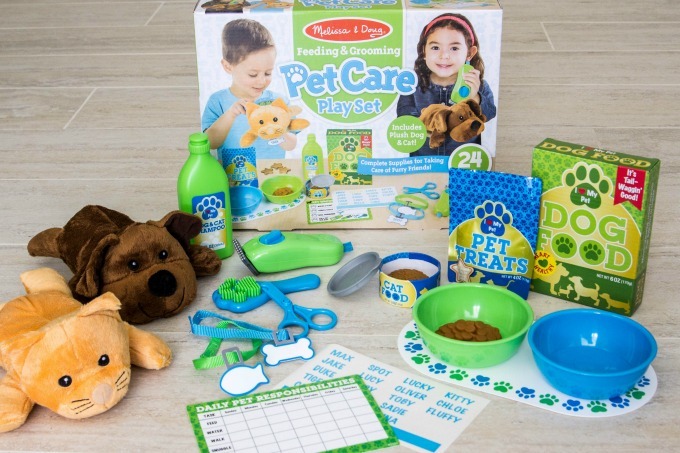 Not only does it come with the pets, it’s got everything needed to take care of them, from food to pet shampoo. Kids can even name their pets and make customized collars from the sticker sheet. Keira went with Chloe for the puppy and Kitty for the kitten. Keira’s at that age where she really gets into her make-believe games and talks to her stuffed animals like they’re real. Sometimes I secretly stand outside her door and eavesdrop because it’s so darn cute. She loves her new pets and I have a feeling that they’re going to be well taken care of! My girls couldn’t care less about whether something is traditionally a girl toy or boy toy. All they care about is whether it’s fun to play with. Ashling loved Hot Wheels when she was younger and now Keira loves them just as much. 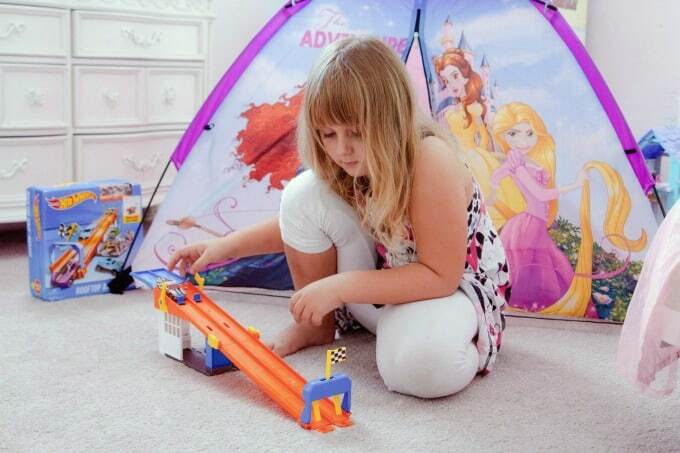 She can go from playing with Disney princesses one minute to Hot Wheels the next without skipping a beat. 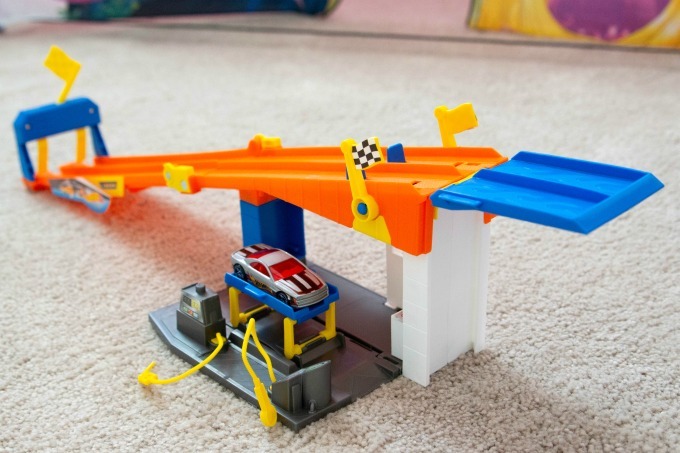 This Hot Wheels Rooftop Race Garage Playset is a fun little garage with a racetrack that folds down from the top. It comes with a race car and even has a fuel station to be sure it’s ready for race day. When she’s finished playing with it, the garage folds into a compact carrying case that can be easily stashed away. The bonus? It’s very budget friendly, especially important for this time of year! Even better, after buying all these toys, I ended up with enough Kohl’s Cash to buy something fun for myself too! 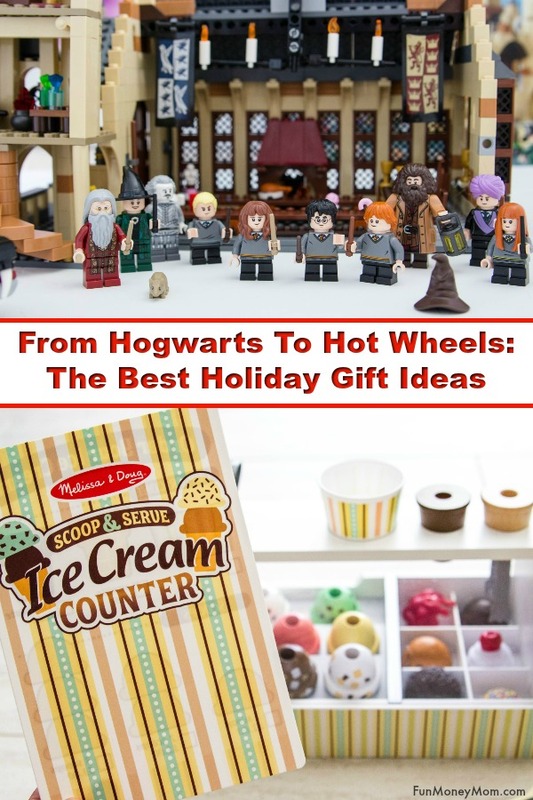 Which of these holiday gift ideas is your favorite? Which do you think your kids would be most excited to see under the tree? My blog may contain links to other websites. I am not responsible for the privacy policies of those other websites. When you click on a link, you information may be collected by those websites so I encourage you to read their privacy policies. Any affiliate links are not associated with Kohls.